Modern technology seems always to have been judged according to its utility for human beings. To the extent that technologies have been viewed as tools, instruments, or prostheses for human use, and thus under human control, they have largely been seen in positive, utopian terms. When technologies have, on the other hand, been seen as not serving human ends and interests – or as threatening to control or enslave human beings – they have almost invariably been interpreted as dystopian, even monstrous forces. This opposition has defined not only human beings’ direct interactions with technologies, but also the abundant examples of technology in arts and culture. Even personifications of technologies as living beings seem largely constrained by this utopian/dystopian dialectic, from anodyne robot helpmates to Frankensteinian threats to humanity. This instrumentalist conception of technology remains the dominant conception of technology even today. Yet, despite its persistence, representations of technology show evidence that they are moving beyond the extremes of utopian and dystopian depictions. This shift may itself be seen an effect of rapid technological change. Continual technical innovation and the changes associated with it have led to what Bernard Stiegler has called a state of “permanent innovation”, where technologies sometimes seem to have exceeded the ability of human beings to conceptualize them. Since the advent of industrial society, Stiegler argues, “Technics evolves more quickly than culture”. Thus, Stiegler seems to suggest, contemporary technologies have themselves begun to destabilize the categories and concepts through which “technology” has traditionally been defined. It should, however, be noted that seeing technology as ‘beyond’ or ‘in advance’ of human cognition necessarily involves viewing technology as an autonomous, seemingly evolutionary force that affects and even moulds human/cultural behaviours. Yet, any conception of technology as a force unto itself inevitably runs the risk of becoming a species of technological determinism. It conceives of technology as an a priori causal force that operates independently of environmental, cultural, economic, political-ideological, or even human determinants. Seeing technology as autonomous may seem counter to the instrumental idea of technology as a tool for human use, but these two concepts are not necessarily opposed. Frankfurt School theorists have, for example, argued that the instrumentalist tendency of technology eventually becomes so entrenched that it surpasses human control and becomes a “technological a priori” (Marcuse) that precedes and directs particular technological developments. From this perspective, instrumental rationality may have begun as a means for human enlightenment and mastery, but it eventually begins to operate on its own, imposing its own systemic, calculative logic on humanity. In this sense, the apparent opposition between technological determinism and the instrumental idea of technology is less an opposition than a dialectic: indeed, it is precisely the ‘dialectic of enlightenment’. New information technologies do not escape this dialectic; indeed, they routinely promise expanded empowerment to their human users. 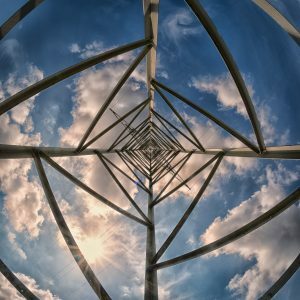 The attraction of these technologies lies precisely in their promise to allow users to be free, active creators and producers. Yet, this promise of increased freedom, creative expression, and mastery is premised upon converting virtually every aspect of life, nature, and culture into quantitative terms, into data – including human life. Users of information technologies and social media are not only encouraged to volunteer data about themselves but to feel empowered and expressive for having done so. This situation bears a strong resemblance to Walter Benjamin’s observation that in place of people’s right to change society, Fascism instead offered the masses a chance to express themselves. In a digital age, this desire for expression has by no means dissipated, but generates ever more customized, individualized forms of self-expression. And just as in Benjamin’s time, class and property structures, as well as their basis in humanist individualism, remain generally unnoticed and unchanged. Here, a new digital dialectic comes to replace and amplify the dialectic of enlightenment. It is not just users who gain a sense, however illusory, of mastery or self-empowerment from information technologies; in many ways, the entire system is based on a presumed mastery. All stakeholders in ‘information society’ imagine themselves empowered at some level, whether this means seeming themselves as in control, ‘ahead of the curve’, or as rebellious disruptors. Yet, information technologies inevitably convert individualized expressions and feelings into quantified and commodifiable data, and in the process, they subject users to increasing levels of surveillance and control. Users, no doubt sensing at some level that they are little more than a series of biopolitical and commercial data-points, continually feel a need to reassert their individuality and mastery, which means deploying ever newer, more effective technologies to achieve this end. This desire to maintain a sense of individual control and autonomy drives a technological vicious circle. Escaping this cycle will therefore require a reconceptualization of both human identity and technology in non-humanist and non-instrumental terms. A ‘posthumanism’ that continues to rely on humanist and instrumental ideas will inevitably have difficulty imagining posthumans who are anything other than enhanced humans, augmented human subjects, humans with added ‘superpowers’. The superheroes, mutants, and metahumans that populate comic books, young adult literature, and superhero movies are clearly not posthuman in any significant way; they are merely humans with ‘special powers’. Their powers are prostheses to an a priori humanity. Spiderman may have ‘spider’ senses, strength, and agility, but in every other way, he is a fairly typical U.S. teenager/young man. Superman may supposedly be an alien, Wolverine a mutant, the Mighty Thor a god, and Harry Potter a wizard, but they are nevertheless quite recognizably human in their attitudes, hopes, and desires. Similarly, surrounding humans with more technologies or even integrating technology into the human body does little to produce more posthuman identities; these developments, for the most part, merely provide more readily available technological prostheses. Any serious notion of posthumanist identity must not only challenge the idea that ‘humanity’ refers to autonomous human subjects capable of controlling the object world, but also the idea that technologies enable this human mastery of the world. Of course, if human beings can no longer be defined in terms of this subject-instrument-object order, this also means abandoning many related assumptions, including notions of homeostatic identity, autonomous individuation, humanist exceptionalism, and the idea that humans are by definition separate from their surrounding environment or world. Screenshot from Annihilation (2018), dir. Alex Garland. © Paramount Pictures. In this context, Donna Haraway’s discussions of mixed, non-unitary, and ‘monstrous’, options for identity, as well as N. Katherine Hayles’s suggestion of a plural, “posthuman collectivity”, provide useful figurations for envisioning nonhumanist posthuman identities. Of course, suggestions of networked and relational identities, actor-network theories, swarm identity, and similar concepts have appeared in a variety of disciplinary fields. Worthy of note here is physicist Karen Barad’s ‘posthumanist notion of performativity’, which would “question the givenness of the differential categories of ‘human’ and ‘nonhuman’, examining the practices through which these differential boundaries are stabilized and destabilized”. Barad outlines a performative, relational notion of agency, in which humans are positioned not as separate from the world, but as an interactive – or in Barad’s preferred terminology, “intra-active” – part of it. As Barad hints, posthuman performativity involves not merely a transformation of human identity, but a much broader re-conception of the entire environment – natural, cultural, technological – in which human beings are necessarily and complexly implicated. No longer conceived as subject to human use and control, these spaces are often cast as ambiguous, inhuman, alien, or simply ‘weird’. Indeed, a number of science-fiction and ‘weird fiction’ narratives in recent years have been set in strange, largely incomprehensible zones where ‘natural’ Newtonian physical laws no longer seem to function. These environments are generally not explicitly technological; they might, however, be labelled as biotechnological, since they alter humans, animals, and the environment in invisible and unpredictable ways. Perhaps the best known of these spaces appear in the work of the Strugatsky brothers, particularly The Zone of Roadside Picnic, popularised even further by Andrei Tarkovsky’s depiction in his film version, Stalker (1979). Another uncanny zone also appears in the perpetually wet environs of the Strugatskys’ The Ugly Swans, and in its filmic adaptation by former Tarkovsky assistant Konstantin Lopushansky (The Ugly Swans, 2006). These zones are explicitly associated with aliens or mutants, and the geography within them is confusing, even fluid, with physical laws at times seemingly suspended. Humans, particularly human children, seem prone to mutation when in proximity to these zones. The Stalker’s daughter is, in the novel, covered in fur, and in Tarkovsky’s film exhibits psychokinetic abilities. The children in The Ugly Swans are also clearly altered by their interaction with this fluid, nonhuman environment. More recent examples of these sorts of posthumanist zones can be found in a host of science fiction and ‘weird fiction’ works (from the biotechnical spaces of Octavia E. Butler’s Xenogenesis series to M. John Harrison’s Kefahuchi Tract in his Empty Space trilogy to the heterotopian spaces of China Mieville’s fiction). 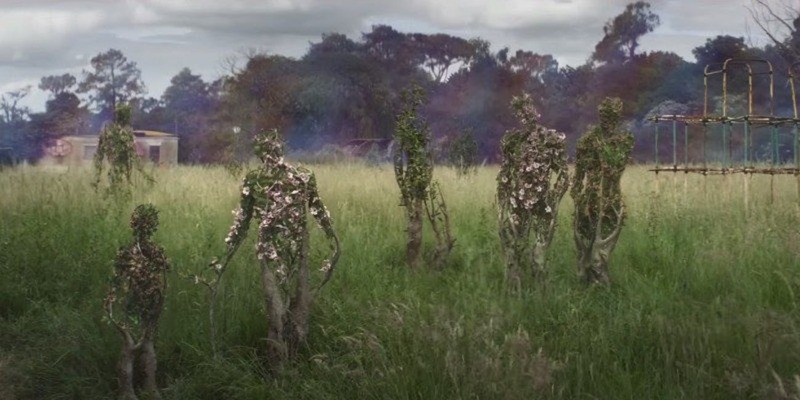 Such a zone also appears prominently in Annihilation, the first book in ‘weird fiction’ writer Jeff VanderMeer’s Southern Reach trilogy, and in Alex Garland’s 2018 filmic adaption. Critics have noted the resemblances between The Zone and The Shimmer, both of which involve non-instrumental alien technologies that seem virtually incomprehensible from a human perspective. Yet while The Zone seems largely depopulated, The Shimmer seems to be biotechnical generator, affecting life at a cellular level: accelerating growth, dissolving organs, hybridizing species, mutating human beings into flowering plants in some cases and into reconstituted versions of themselves in others. In some ways, the alien presence in these works seems to blend into an ecological revenge narrative, in which the natural environment reasserts its independence from human technological control. Much as in The Zone, the humans who survive The Shimmer are clearly no longer entirely human, no longer entirely separate from these spaces. Yet, just how these figures have changed, what makes them posthuman, cannot be understood from this side of the boundary that separates us from these ambiguous zones, spaces, and heterotopias, which always seem to shimmer at the edge of our comprehension. This liminal space is the true environment of the posthuman. Bernard Stiegler, Technics and Time, 1: The Fault of Epimetheus, trans. Richard Beardsworth and George Collins (Stanford: Stanford University Press, 1998), p. 15. Herbert Marcuse, One-Dimensional Man: Studies in the Ideology of Advanced Industrial Society (Boston: Beacon Press, 1964), p. 153. Marcuse’s technological a priori is not simply technological, but largely social and ideological. Walter Benjamin, “The Work of Art in the Age of Its Technological Reproducibility”, Selected Writings, Vol. 4, 1938–1940, eds. Howard Eiland and Michael W. Jennings, trans. Edmund Jephcott et al. (Cambridge: Harvard University Press, 2003), p. 269. Donna J. Haraway, Simians, Cyborgs, and Women: The Reinvention of Nature (New York: Routledge, 1991); Modest_Witness@Second_Millennium.FemaleMan©Meets_OncoMouse™: Feminism and Technoscience (New York: Routledge, 1997); When Species Meet (Minneapolis: University of Minnesota Press, 2007); Staying with the Trouble: Making Kin in the Chthulucene (Durham: Duke University Press, 2016). Katherine Hayles, How We Became Posthuman: Virtual Bodies in Cybernetics, Literature, and Informatics (Chicago: University of Chicago Press, 1999), p. 6. Karen Barad, “Posthumanist Performativity: Toward an Understanding of How Matter Comes to Matter”, Signs: Journal of Women in Culture and Society, 28.3 (2003), p. 808. For a more extensive discussion, see Barad, Meeting the Universe Halfway: Quantum Physics and the Entanglement of Matter and Meaning (Durham: Duke University Press, 2007). It is worth noting that humanism has sometimes been cast as parallel to Newtonian physics, while posthumanism has often been figured in terms of quantum mechanics. Barad, in fact, draws heavily on Niels Bohr’s “Copenhagen Interpretation” of quantum physics in her arguments about posthumanism. Similarly, Vicki Kirby’s Quantum Anthropologies deploys quantum explanations in concert with Derridean theory to formulate a posthuman space in which cultural and natural, textual and material are inextricably entangled. Quantum entanglement also plays a major role in Barad’s work. Arkady and Boris Strugatsky, Roadside Picnic, trans. Antonina W. Bouis (New York: MacMillan, 1977); The Ugly Swans, trans. Alice Stone Nakhimovsky and Alexander Nakhimovsky (New York: MacMillan, 1987). Jeff VanderMeer, Annihilation (New York: Farrar, Straus and Giroux, 2014).